The 2019 Handelskraft Conference is getting closer and closer. And preparations continue to run at full speed. We introduced the first speakers and sessions. 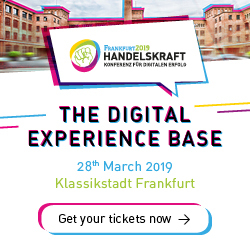 NO Today, we’ll introduce you to those who share their knowledge and best practical insights at the Digital Experience Base on 28 March 2019 at the Klassikstadt in Frankfurt am Main. 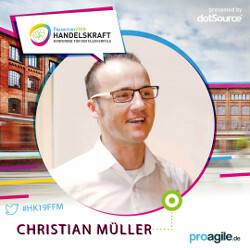 »Agility and innovation are the fuel of digitization« As an agile coach, Christian Müller, founder and owner of proagile.de, knows why agile work is gaining such popularity right now. In his session »The Secret Success of Agile Companies«, he not only explains what’s important in theory but also directly applies agile methods in a practical test with participants. There is hardly a topic that occupies digital business as much as artificial intelligence. But how do you keep up with constant technological progress in the digital age? 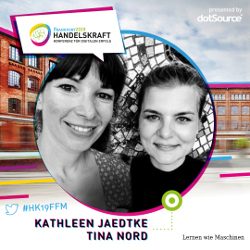 On their eponymous blog »Lernen wie Maschinen«, Kathleen Jaedtke and Tina Nord face these challenges. 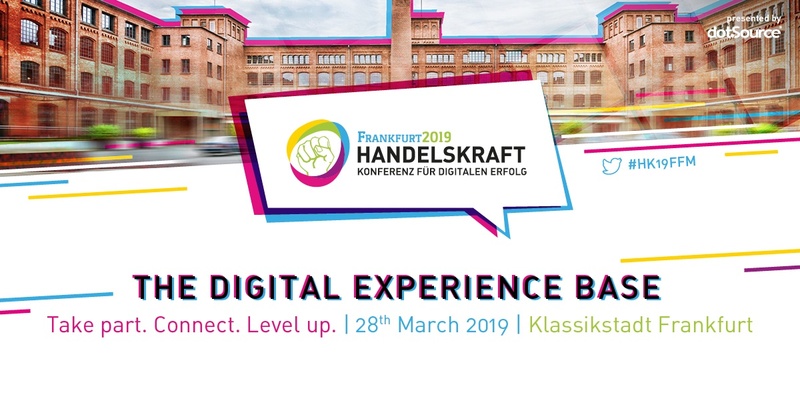 On March 28, 2019, they will be taking part in the Handelskraft Conference and talk about what they’ve learned and share some fails. »Using Artificial Intelligence Cleverly« provides an overview of the most important AI developments of our time. How can sales employees focus on real relationship management from person to person? MEVACO also had this question. 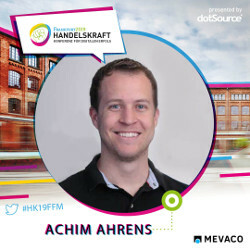 Achim Ahrens, e-commerce manager of Mevaco GmbH, explains in his article, how Europe’s leading supplier of expanded metal, perforated plates, as well as corrugated and welded bars masters these and other challenges with the help of an appropriate CRM integration and which entrepreneurial opportunities arise in his session: »Efficient Sales Through a Networked CRM«. Speaking of networked… In addition to exciting sessions taking place on the day of the conference, there are, of course, other specials waiting for you. Especially the warm-up evening at the Recipe Bar. Be part of exciting discussions in a relaxed atmosphere on the 27th of March starting at 8 pm. Schedule a free, individual consultation with one of our digital experts. Places for these two specials are limited, so book them right here with your tickets! That’s not all. German not really your speciality? In English, please! If needed, simply select the English live simultaneous translation. The #HK19FFM agenda is out. Whether in German or English… Look forward to a versatile conference program. 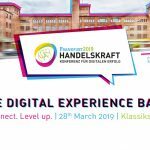 Secure your ticket for Handelskraft 2019 now! So what are you waiting for? It’s time to: Take Part. Connect. Level Up. Secure your tickets here. Be there when doers and decision-makers of digital transformation exchange views on trending topics in the industry. Use the interactive opportunity from Handelskraft to gain knowledge, network, and exchange ideas.